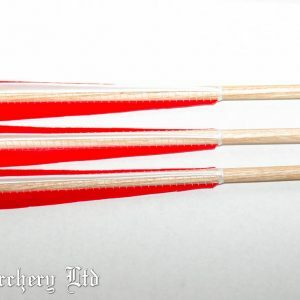 Handplaned/tapered warbow arrows, suitable for heavy draw bows. 1/2″ to 3/8″ tapers unless requested otherwise. For the archer who wants that extra level of authenticity and satisfaction! 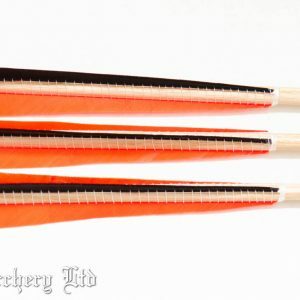 Our deluxe arrows start with a 1/2 inch hand planed ash shaft – choose from Bobtail, Breasted, Barrelled or chested and we will do the rest! 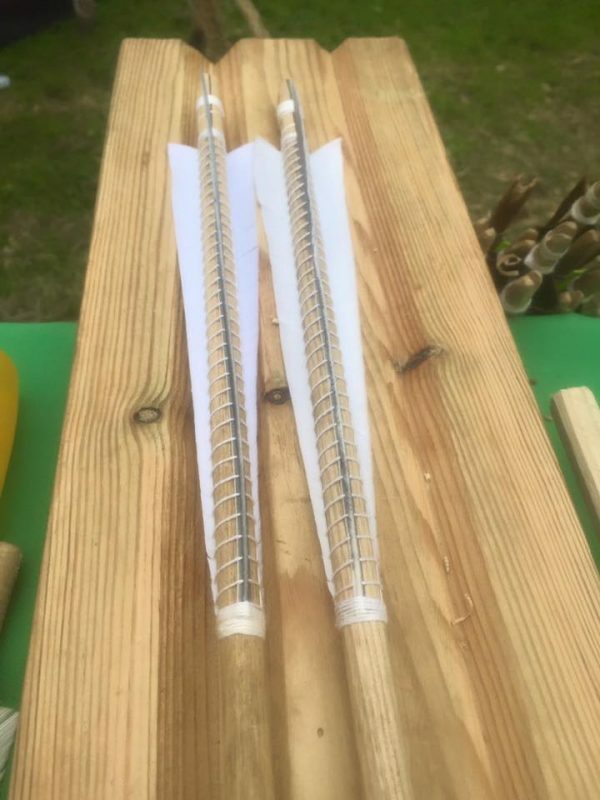 All of our hand planed arrows are made to Livery specifications so you will receive a handfletched arrow with 7 3/8 inch long fletchings, a 2 inch horn insert to the self nock and white linen whipping with a minimum 4 turns to the inch. 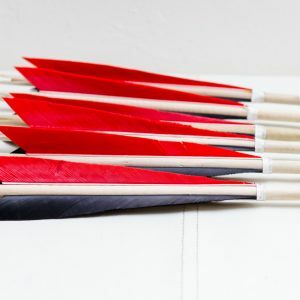 Our arrows are finished in natural wax and are supplied without a head. As these are made to order please expect a delay before delivery occurs. Prices are per arrow, minimum order is 6.